Sony announces Xperia Tablet Z | Android Blast! 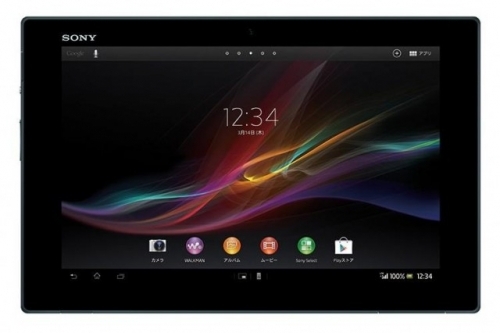 Sony has officially announced its next Android tablet, the Xperia Tablet Z. The Tablet Z has been rumored for awhile now, but Sony finally made the official announcement. The Xperia Tablet Z is a 10.1-inch Android 4.1 tablet that resembles the Xperia smartphone. The Tablet Z runs Android 4.1 on a Qualcomm 1.5GHz quad-core APQ8064 processor, features 2GB RAM, and 32GB storage. The display is 10.1-inches with a resolution of 1,920 x 1,200. It features an 8.1-megapixel Exmor R camera, NFC, LTE (MDM9215M radio). It also features Sony's "S-Force" virtual surround sound technology. With all that technology inside, the Tablet Z is only 6.9mm-thick and weighs only 495g. No word on if or when this tablet will be available in the states. It should be available in Japan this spring.